» The Best Teeth Cleaning Options Available, Cat Dental Treats! If you own a cat, you've probably realized that one of our furry pet's most common health concern is dental health. Thankfully, cat dental treats are available to help pet owners keep their kitty's teeth healthy. Dental treats for cats is one of the easiest ways to maintain our feline’s oral health, in addition to regular tooth-brushing. Animals are just like us. Poor oral hygiene also makes them at risk of various dental problems. Felines more especially, are the most vulnerable animal to dental diseases due to their sensitive teeth and gums. 80% of adult felines suffer from periodontal diseases. So, how can we safeguard our furry friends from these kinds of diseases? Oral care is necessary for felines, and this is probably the best preventive measure against tooth and gum diseases. Brushing your kitty's teeth three times a week and regular visits to the veterinarian are critical routine to maintain your pet's healthy teeth. 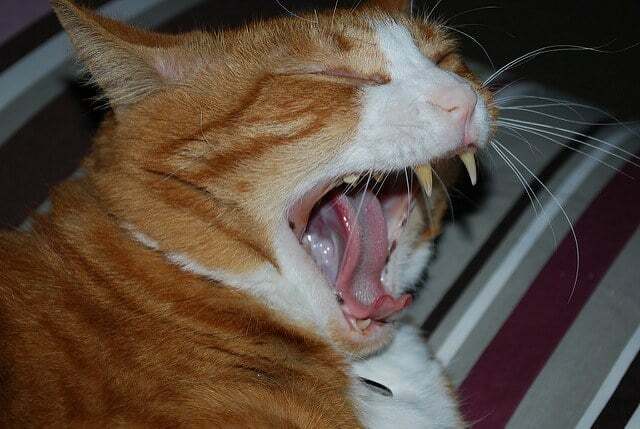 Plus, proper maintenance also keeps bad breath at bay since this is one of the most common problems in felines. However, what is precisely the role of cat dental treats? Moreover, why do we need to consider these dental treats for cats? Cat dental treats are not just your ordinary kibbles. These products are specially formulated to remove plaque and tartar from your kitty's teeth. As we all know it, plaque and tartar are the root causes of tooth decay and gum diseases even in felines. Brushing their teeth considerably helps remove the plaque. However, most of the times, we can't brush their teeth thoroughly. Because let's admit, they can become a handful when it comes to brushing. Some plaque may remain especially in between their teeth even with regular brushing. In time, the residual plaque hardens and become tartar. Unfortunately, tartar is more challenging to remove than a plaque, and only a dentist can completely remove it. Moreover, so when it stays longer, tartar contributes to tooth decay and periodontal diseases such as gingivitis. Therefore, adding cat dental treats to their diet can significantly improve their oral health. Moreover, your kitty will surely love these tasty snacks, making it easier for both of you to maintain their healthy teeth. What are the Best Dental Treats for Cats? 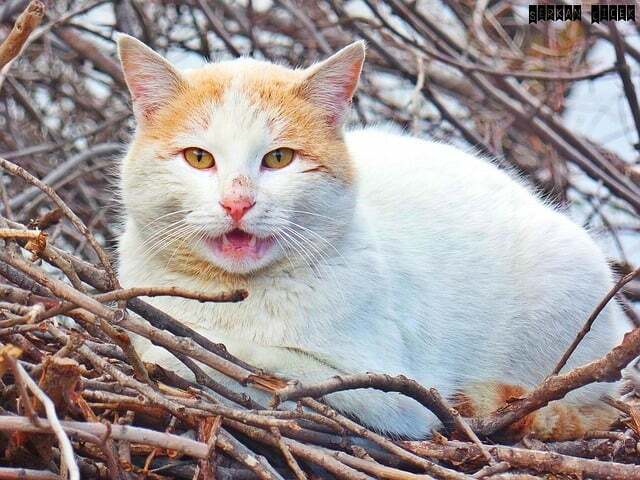 How to Choose the Best Dental Treats for Cats? As a responsible pet owner, it is crucial to have an awareness of the overall well-being of your pet. Naturally, this also includes having an in-depth understanding of feline oral health. Feline teeth are designed to be sturdy and robust because these creatures are born predators. As they catch, rip apart, and eat their prey, wild felines can sharpen and keep their teeth in top shape. That's why felines living in the wild don't require proper oral care because their predatory habits strengthen their teeth. However, domestic felines do not have the privilege to exercise their predatory skills as much as wild felines do. Instead of ripping apart raw flesh and bones, domestic kitties usually live off kibble and mush. As a result, they don’t get to strengthen their teeth and become more vulnerable to oral problems. However, how can we tell if our furry friend has healthy teeth and gums? Moreover, what are the indications that tell us that it's time to take our kitty to the dentist? Bad breath is one of the most visible signs of an oral problem. If you smell extremely unpleasant breath odor, it may indicate gum infection or tooth decay. Use your thumb and index fingers to spread your kitty's mouth open and examine the teeth. The teeth should be white. Yellow teeth indicate plaque buildup and dark-colored teeth indicate tartar formation. Also, check for any broken or cracked teeth. Next, gently spread the mouth further to expose the gums. The gum should be pink. A red-colored gum may indicate an infection. Moreover, make sure to check for any swelling or discoloration on the gums. Cat dental treats are one of the most effective ways to remove plaque and tartar without them even knowing it. With their yummy flavors, your feline pet won’t hesitate to chew and chomp these kibbles. Cat dental treats are designed to look and taste like their regular snacks. So, you won’t need to force these into them because they’ll gladly chomp these delicious snacks without hesitation. However, do keep in mind that not all cat dental treats are created equal. There are lots of different brands in the market to choose from, making it more challenging to select the best. It’s important to scrutinize each brand because there are those that only mask a kitty’s breath without cleaning the teeth. The best dental treats for cats should be able to remove plaque and tartar thoroughly, even from the most hard-to-reach areas. Of course, the best cat dental treats should be able to eliminate bad breath, strengthens teeth and improves gum health. Added vitamins are a huge plus, so it is wise to check the nutritional value of a particular product. Moreover, as much as possible, stay away from cat dental treats with high calories. Remember that cat dental treats should not be a substitute for their regular food, hence the name ‘treat.' Their regular foods are high in calories, to begin with. Adding another high-caloric snack to their diet may contribute to obesity and diabetes. We recommend choosing cat dental treats with low calories to keep their teeth and body healthy. To help you find the best dental treats for cats, we’re listed down the top 9 cat dental treats available. The most significant factor to consider in choosing the best cat dental treats is their ability to improve feline oral health. Flavor, caloric amount, vitamin content, and kibble shape should also be taken into consideration. We've included all of these factors in rounding up our list of recommended cat dental treats brands. Check them all out below and try to compare each benefit as well as each pro and cons. 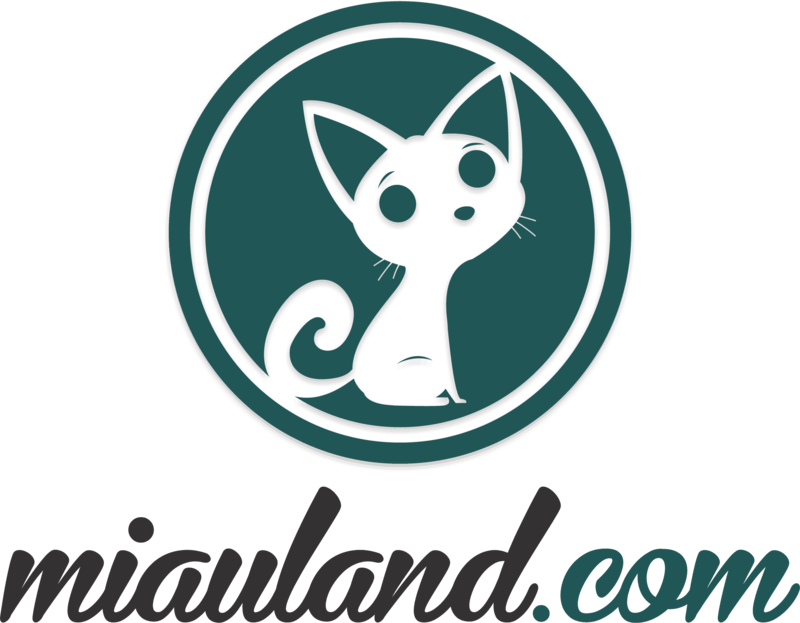 Then you try to decide which of these top brands is best suited for your furry pet. Considered as the most-recommended cat teeth cleaning treat by veterinarians, Greenies is also the highest-rated brand on Amazon. Moreover, these accolades should tell you something about this product. Unlike your typical mushy kibbles, Greenies Dental Treats has a crunchy consistency that helps scrape off plaque and tartar buildup. It comes in 6 different flavors – Catnip, Ocean Fish, Succulent Beef, Tempting Tuna, Savory Salmon, and Oven Roasted Chicken. You can choose from 4 different sizes and packaging. Both the 2.5oz (71g) the 5.5oz (156g) come in pouches. The 11oz (312g) comes in a plastic tub, and the 21oz (595g) comes in a large canister. As for its nutritional value, it is loaded with vitamins and minerals that are essential to feline health. It also contains taurine and chlorophyll to provide additional nutrients for your furry pet. Greenies guarantees that all of its products are 100% nutritionally complete and balanced with no artificial colors or preservatives. Amazingly, these cat teeth cleaning treats only have less than two calories per piece. It is also important to note that cat dental treats are not recommended for kittens below one year of age. Moreover, these snacks should be given for kitties one year and older. Feed your furry pet with these cat dental treats daily to get the full oral health benefits. However, be sure to watch out the recommended daily calorie intake depending on your pet’s weight. Carefully read and follow the guidelines on the package to make sure that you’re giving your pet the right amount of food. Each piece follows a perfect shape and size that are designed to clean and polish your kitty’s teeth. To back up the quality of their product, Greenies have met the standards of AAFCO Cat Nutrient Profiles. This means that Greenies has been tested and proven to provide proper nutrition to felines while also improving their oral health. Plaques are bacteria that produce acids when combined with saliva and sugars in food. When these harmful acids attack teeth enamel and gums, it results in cavities and other periodontal diseases. Bad bacteria’s worst enemy is good bacteria. The introduction of good bacteria can significantly reduce, if not eliminate, all existing bad bacteria. This is the whole concept behind Virbac's C.E.T. Oral Hygiene Chews. This product uses friendly enzymes to kill plaque-forming bacteria and scrape them off entirely from the teeth. Made from high-quality freeze-dried fish, each piece has rigged edges with abrasive property to polish the teeth as they chew. Plus, it is available in 2 different flavors – fish and poultry - that felines love the most. Aside from its enzymatic property, Virbac Oral Hygiene Chews are fortified with vitamin E (tocopherol) and vitamin C (citric acid). It is available in 2 packaging sizes – 30 chews and 96 chews. Each piece contains 20 calories, so we recommend feeding your pet one piece daily. Purina has been one of the most trusted names in pet food so you can be sure to get the most excellent products from this brand. Their exclusive line for pet oral care, DentaLife, offers yet another breakthrough in improving feline oral health. Scientifically designed with felines in mind, Purine Dentalife Dental Treats for Cats has a crunchy, porous texture that allows teeth to penetrate. Its abrasive action allows the piece to scrape off and remove tartar buildup even in hard-to-reach areas. Each time your kitty chews, the teeth penetrate deep into the piece for a more thorough cleaning. Furthermore, each piece has porous consistency that can reach all the way to the gum line. Choose from 2 different flavors (chicken and salmon) and two different packaging sizes – 1.8oz (51g) pouch and 13.5oz (383g) canister. Plus, it is fortified with calcium to strengthen your kitty's teeth further. Aside from calcium, it is also enriched with taurine, vitamin E, and fiber – all of which are essential nutrients for felines. Purina guarantees that it uses all-natural ingredients in all of its products, with no artificial colors and no artificial flavors. Each tiny piece contains 1.3, so we recommend giving 17 pieces daily for kitties weighing 5 pounds and more. It is not recommended for kittens weighing less than 5 pounds. If you prefer grain-free cat dental treats for your gluten-intolerant pet then here’s something to consider. Smart n' Tasty is made from a premium chicken meal, and natural ingredients with no grain, gluten, soy, or dairy included. Each piece of Smart n’ Tasty has a crunchy texture that helps reduce plaque and tartar buildup. Plus, it contains alfalfa (source of chlorophyll) to keep your pet’s breath smelling fresh. Calcium carbonate has abrasive action to scrape off plaque and tartar from the tooth enamel. These cat teeth cleaning treats have fish-shaped pieces big enough to encourage your pet to chew it rather than to swallow it whole. You can choose from 6 different flavors – chicken, salmon, tuna, ocean fish, catnip, and turducky. One piece contains 1.8 calories so you can give ten pieces daily for kitties weighing more than 5 pounds. If you're 100% sure that your furry companion can handle grains and gluten, then it's safe to give them grain-rich cat dental treats. Besides, felines can benefit from the high fiber content of grain-rich dental treats for cats. IAMS Proactive Health contains rice flour, wheat flour, corn gluten meal, and oat fiber. Since grains are not necessarily considered as appropriate for felines, why did they include so many grain ingredients? The main reason is quite simple. To attain that unique crunchy texture that is capable of scraping away plaque from the teeth, you'll need to use grains. Because apparently, animal products cannot yield the same crunchiness that of grain-based cat dental treats. Every piece of IAMS Proactive Health acts like a toothbrush that thoroughly removes plaque and tartar buildup. Aside from its coarse texture, it also contains calcium carbonate that also helps scrape off plaque from the tooth enamel. It comes in 2 different flavors – chicken and salmon – both in 2.47oz (70g) pouch. As for its nutritional value, IAMS Proactive Health has a lot to offer. Specially designed to provide overall wellbeing to your kitty, it is loaded with essential vitamins and minerals for felines. These cat dental treats are fortified with taurine, an essential amino acid that maintains proper functioning of a feline’s vision, digestion heart muscle, and immune system. Furthermore, each piece is rich in vitamins E, D, A, B1, and B12 which are all essential vitamins for felines. However, that's not all. It also contains fiber, folic acid, niacin and biotin for better digestion and healthy coat. A piece of IAMS Proactive Health only contains 1.25 calorie so you can give 15 pieces daily to a kitty weighing 5 pounds and more. Let's face it, felines are naturally not into grains, and they don't need grains in their diet. Furthermore, some felines can also develop grain intolerance that may trigger allergic reactions. Wellness Kittles considered this account and offered a grain-free cat dental treats that can do more beyond teeth-cleaning. Although felines are carnivores, a small number of fruits and vegetables wouldn't hurt them when given as occasional treats. Our furry companions can benefit from the nutrients of fruits and veggies. Cranberries, for example, can significantly improve the urinary function of felines. This is because cranberries increase urine acidity to dissolve bladder stones and struvite crystals that may cause blockage and infection. Additionally, cranberries contain potent antioxidants that can provide anti-inflammatory and anti-cancer benefits. Wellness Kittles contain cranberries, real meat, and all-natural ingredients with no artificial colors and no preservatives. More importantly, these crunchy cat teeth cleaning treats are 100% grain-free, so you don't have to worry about grain allergies. It is available in 2 packaging size – 2oz (56.7g) contains 150 pieces, and 4oz (113g) contains over 300 pieces. 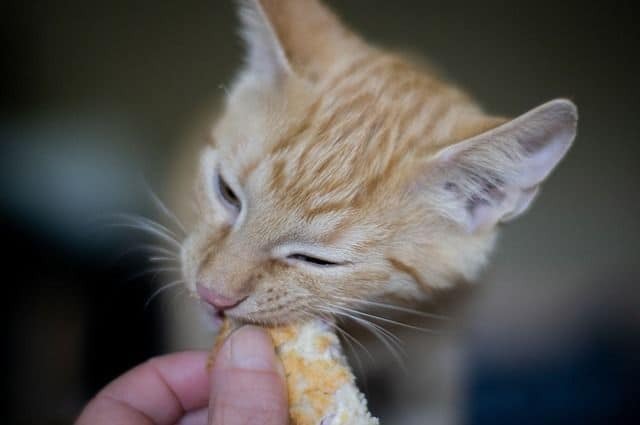 One piece is equivalent to 1.1 calories so you can give 10 – 15 pieces daily to adult kitties weighing 5 pounds and more. Contains green tea extract; while it is an effective diuretic that can aid healthy urinary function, green tea contains caffeine that could affect sleep for some felines. Therefore, moderation should be strictly followed in giving these cat dental treats to your feline pet. Comes in tiny pieces and some kitties may be able to swallow it whole without chewing, thus defeating​ its purpose as a teeth-cleaning treat. Taking care of your kitty’s oral health has never been this easy with Meow Mix Brushing Bites. Every piece is specially designed to effectively clean the pet's teeth by removing plaque and tartar. Its unique shape and the crunchy texture feels like a toothbrush that can scrape off plaque buildup from tooth enamel. Made with real meat, your furry buddy can't resist these three yummy flavors – chicken, salmon, and tuna. Amazingly, Meow Mix does more beyond teeth-cleaning. It is fortified with calcium and vitamin D to support healthy and sharp teeth. So your kitty's teeth are not only pearly white but also healthy. Moreover, there's more. Meow Mix is also loaded with vitamins A, E, B1, B2, B3, B12, D3, and K. As well as essential minerals such as iron and taurine. With every chew, your furry pet doesn't only get a burst of tasty flavors, but they also get a dose of a healthy snack. It comes in 3 different packaging sizes – 2.25oz, 4.75oz, and 9oz – all in resealable pouches. One piece is equivalent to 2 calories so you can give 5 – 8 pieces daily for kitties weighing 5 pounds and more. Specifically proven to reduce tartar formation, it introduces the revolutionary DentaShield Rawhide technology. It works by allowing its active ingredients to bond with the cat’s saliva to reduce tartar formation by 80%. The crunchy texture creates an abrasive action that removes tartar build-up as it gently massages the gums. Aside from its particular DentaShiled system, these cat dental treats also contain parsley to freshen your kitty's breath. With every chew, it helps clean your pet's teeth, promote healthy gums, and freshen breath. As far as teeth-cleaning is concerned, Hartz Dentist's Best is one of the best brands in the market. However, how does its nutritional value fare among others? Hartz dentists Best is fortified with zinc, selenium, taurine, vitamin A, and vitamin E. However; it is also important to point out that it contains grains and gluten. Each piece contains only one calorie so you can give as many as 15 pieces daily to adult kitties weighing 5 pounds and more. Packaging comes in a 3oz (85g) pouch and is available in chicken flavor. Veterinarian approved and specially formulated to provide complete oral support, Perio Plus Feline Bites works in a dual-action delivery system. As far as complete oral health support is concerned, no other brand comes close to this outstanding brand. It has a crunchy outside mostly made of pumice and spirulina to scrape away tartar and freshen breath. Moreover, it has a chewy inside that contains probiotics (friendly enzymes) to combat plaque-causing bacteria and CoQ10 to support healthy gums. Additionally, it contains cranberry extract that doesn’t only promote urinary health but also fights cavity-causing bacteria on tooth surfaces. To keep your furry pet’s breath smelling fresh for longer, it also includes parsley leaf powder that works together with spirulina. It is fortified with taurine, an essential amino acid for healthy digestion, vision, and heart muscle function in felines. Your kitty will love this chicken liver flavored treat that comes in a 4.2oz (120g) packaging that contains 60 pieces. Give two pieces daily for felines over 5 pounds and preferably should be given between meals for best results. Pay attention to your feline pet’s oral health because excessive plaque and tartar can cause painful oral diseases. Tooth decay and periodontal diseases can also adversely affect your pet's overall health. Oral health issues can lead to other medical conditions in the kidneys, liver, and heart which can be fatal. Cat dental treats, in addition to routine oral hygiene and regular check-ups, can keep your feline’s mouth healthy. However, to accomplish this, you'll need to choose high-quality cat dental treats. There are plenty of cat teeth cleaning treats available, so it's essential to select the best brand for your kitty. So, how do you know if you’re buying the right cat dental treats for your feline pet? Here are the essential factors to look out in choosing the best dental treats for cats. Teeth are usually cleaned by abrasion, typically with a toothbrush and toothpaste. Unfortunately, no kitties would willingly submit themselves to tooth-brushing. 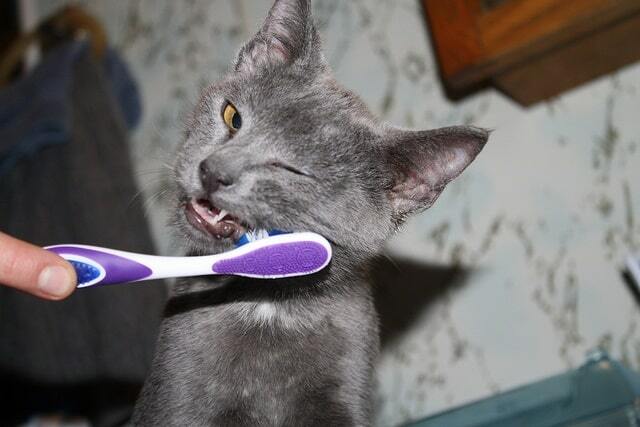 Pet owners know how tough it is to brush a kitty’s teeth. Most of the time, we fail to clean every nook and cranny of our pet’s mouth. Giving them good kibbles that are capable of cleaning their teeth seems like the easiest way to pull this off. However, how do these cat dental treats clean the teeth? Dental treats for cats feature a crunchy, gritty surface that rubs against the tooth enamel. Works just like a toothbrush, it gently scrapes away bacteria from the teeth. Ideally, the inside should be slightly porous and crunchy as well. The teeth should be able to sink into it so plaque and tartar will get caught in the consistency. Cat dental treats are designed to be significant to provide more opportunities for chewing. Some kitties tend to swallow small pieces without eating it. Keep in mind that these dental treats for cats only work when chewed since chewing action allows them to rub against the teeth. Moreover, while whimsical shapes are appealing to human eyes, take note that some forms may irritate your pet's mouth instead. For sure, shapes with pointy edges such as stars are something that they won’t appreciate. Larger pieces usually have higher calorie content than those smaller ones. That is why we recommend that you limit the dosage in giving cat dental treats with larger pieces. Most of these products include feeding instructions on their labels. So, it is wise to read the recommended serving size per weight and follow the guidelines. If your choice of a brand doesn't include feeding instructions, you need to do the Math yourself. For kitties weighing within 5 – 10 pounds, you can give them daily kibbles amounting to 15 – 20 calories. Moreover, for felines over 10 pounds, you can feed them as much as 25 – 30 calories a day. However, keep in mind that you must not exceed giving 40 calories of kibbles a day, no matter how they beg. First of all, you need to make sure that your furry friend chews the food or else everything becomes pointless. If they find the taste to their liking, they'll surely chew it and savor every bite. Chicken, tuna, and salmon are feline's all-time favorites. That is why manufacturers brilliantly capitalize on this fact. Some brands also introduce their catnip-flavored variant which some pet owners find bright. No felines can ever resist the temptation of catnips. Regardless of your pet's favorite flavor, it is also advisable to try different flavors once in a while. This is to prevent your furry buddy from getting bored with its monotonous snack. Different brands may have one common teeth-cleaning potential, but they significantly differ in ingredients and nutritional value. While nutrition is just a secondary priority in cat dental treats, this factor should not be overlooked. It would be nice to give something that could support both oral and overall health to your beloved pet. Take time to read the label and make sure that the product is rich in essential vitamins and minerals. Moreover, also to ensure that the product doesn't contain any artificial coloring or preservative that may harm your kitty's health. 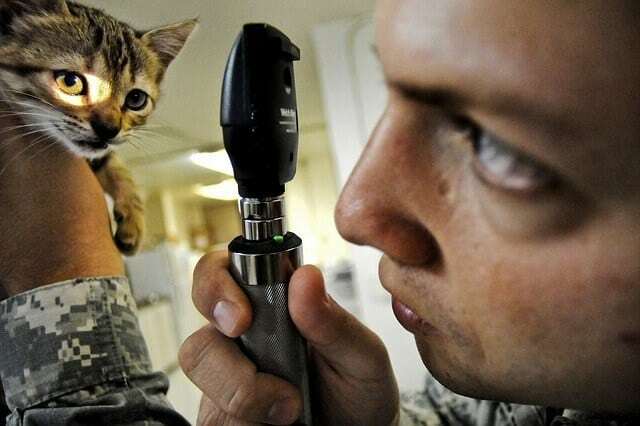 Lastly, you should be aware if your feline pet has specific allergies. Grains, soy, milk, and yeast are some of the ingredients that may be included in the food. Some kitties may develop allergies or intolerances to these particular foods. If your pet has specific allergies, it's better to stay away from products that contain these specific ingredients. Cat dental treats are worth buying and giving these snacks is a smart way to keep your pet's mouth healthy. The product's teeth-cleaning ability is the chief factor to look for, but there are also other important factors to consider too. While the ability to reduce plaque and tartar is the most fundamental, we should also look for other oral care benefits. The best dental treats for cats should also be able to keep harmful bacteria from coming back. Moreover, they should be able to improve and strengthen both teeth and gums. Of course, the best oral care product should be able to freshen your pet’s breath for longer. Cat dental treats are a great addition to our feline pet’s diet. However, these should NOT be considered a substitute for their regular food. As with other occasional treats, these kibbles can significantly add to the caloric intake of your pet. Too much of these foods may contribute to weight gain, obesity, and other weight-related health issues. Let us remind you that these cat teeth cleaning treats are made to be extremely appetizing to felines. Naturally, they will chomp it with pleasure and may beg for more. However, as with other occasional treats, these should only be given in moderation. More importantly, follow the feeding instructions (recommended calorie per weight) to maintain your pet's healthy weight.